Cirque du Soleil: Worlds Away (BD) Just $5 Down From $20! You are here: Home / Great Deals / Amazon Deals / Cirque du Soleil: Worlds Away (BD) [Blu-ray] Just $5 Down From $20! 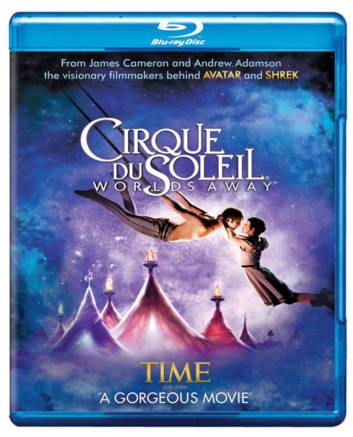 Cirque du Soleil: Worlds Away (BD) [Blu-ray] Just $5 Down From $20! Here’s a nice Amazon deal. Cirque du Soleil: Worlds Away (BD) [Blu-ray] is just $5 down from $20! Get yours now while it lasts! Mia (Erica Kathleen Linz) is a young woman seeking escape. She enters a circus tent and falls instantly in love with an aerialist (Igor Zaripov) that she sees performing. But when their eyes meet, he slips and falls, dragging Mia with him into another world. Mia and the aerialist become separated and travel in a place that exists between life and death to find each other again. Acts from Cirque du Soleil shows “O,” “Mystère” and others illustrate their journey.